Our show at Tower Hill Botanic Gardens attract close to 3,000 people each year. 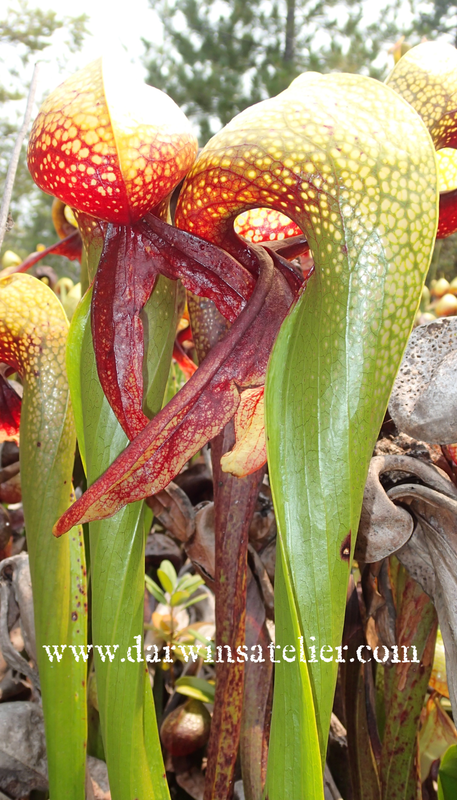 Kids to adults alike, all awed by the sinister, yet beautiful world of carnivorous plants! Darwin’s Atelier of course joined the fun! Dr. Aaron Ellison, a professor at Harvard Forest joined us for selling and signing his recent book, “ Carnivorous Plants”. A display of Utricularia species native to New England. A little Pinguicula display on a Japanese “Shosuiseki” rock. My U. alpina display got the first place! Thanks to this beautiful display case made by Ra Ve from Germany. 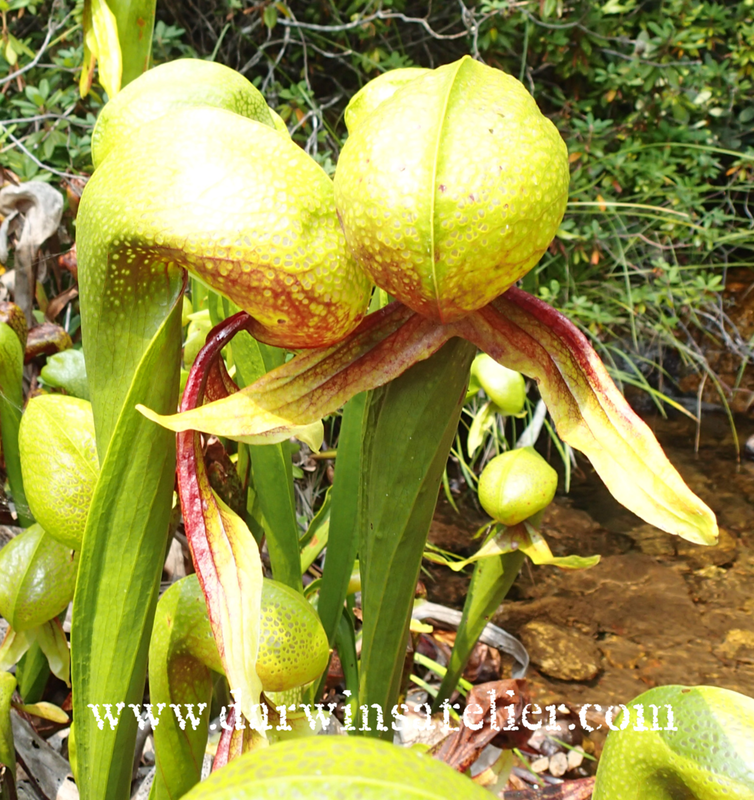 “The Darlingtonia Challenge” display. This year, NECPS promoted a “Who can grow D. californica the best?” contest. Those who were willing to take the challenge got a free D. californica from the society, found his/her own way to grow this notoriously difficult to grow plant in cultivation. 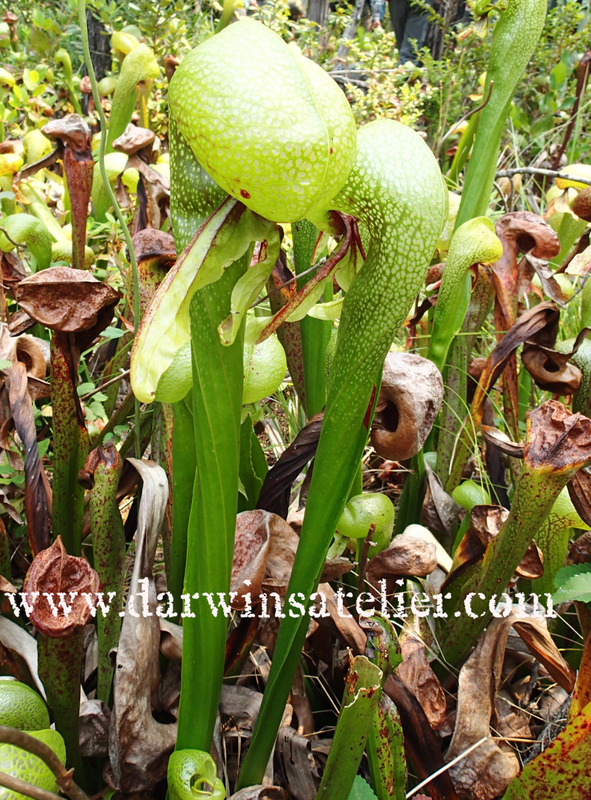 We were honored to have Dr. Larry Mellichamp provide a lecture on how Sarracenia avoid eating their own pollinators. Dr. Mellichamp is a retired professor at University of North Carolina. 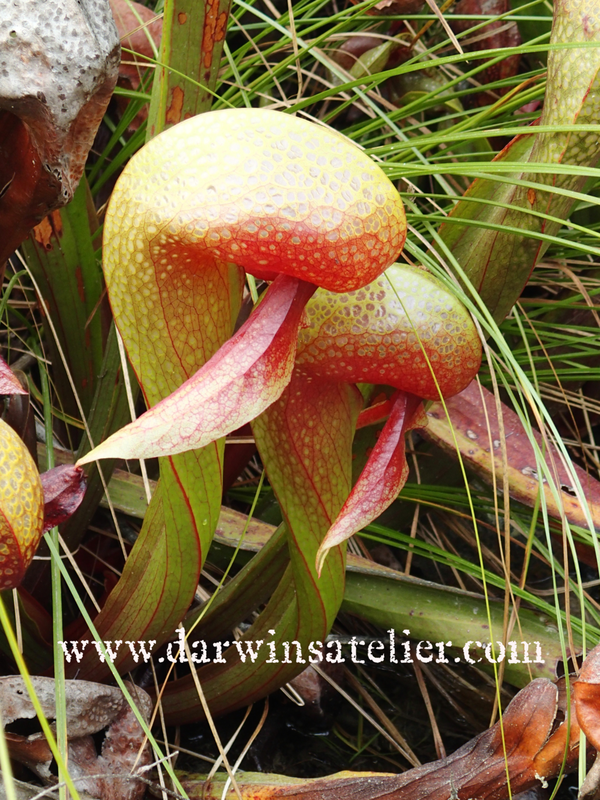 He is one of the few original people who have contributed significantly to introducing carnivorous plants in the USA, and educating the public about them. 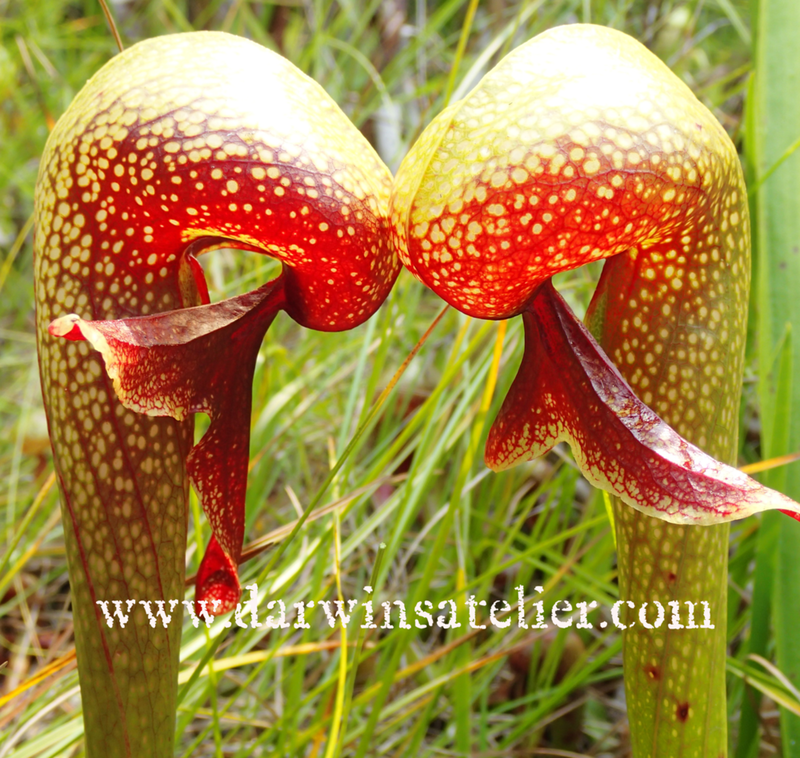 He is also the creator of the classic Sarracenia hybrids, “Bug Series”. A little ICPS Conference reunion at the NECPS show. From left to right, Dr. Aaron Ellison, the author, Dr. Larry Mellichamp, and Audrey Mellichamp. RAW is a juried botanical art show provided by the New England Society of Botanical Artists. Juror was Catherine Watters at Filoli. Three watercolor paintings by E. K. Wood were exhibited here. One of the work, "Blackberry" was mentioned in the juror's statement (see the picture below). Stop by and check them out when you get the chance!